Presenting West Boca Executive Suites a relaxed but vibrant business atmosphere. Experience an upscale working space, enabling each tenant to focus strictly on his profession without the stress of managing an office. We replace office management concerns with working office comfort. Class A first floor gorgeous offices will include all this in your customized office. We want every professional home-based business to have our unique product; "Virtual Office". Host your meeting at one of the top conference rooms in Boca Raton. Professional Printing, Copying, and Scanning. Your customers will tell the difference. At West Boca Executive Suites we find suitable matches for our Entrepreneur Center with the most influential venture capital firms and investors. At West Boca Executive Suites we help you with your online needs through our Entrepreneur Website Center. At West Boca Executive Suites we help you with your Credit Card Processing needs through our Entrepreneur Center. At West Boca Executive Suites we help you with your Accounting & Bookkeeping needs through our Entrepreneur Center. At West Boca Executive Suites we help you with finding your legal advice through our Entrepreneur Center. At West Boca Executive Suites we help you with your insurance needs through our Entrepreneur Center. At West Boca Executive Suites we find suitable matches for our Entrepreneur Center connecting conventional or unique investment opportunities to you. 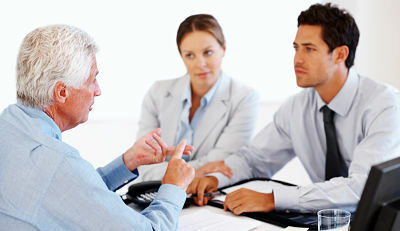 At West Boca Executive Suites we find suitable matches for our Entrepreneur Center connecting our tenants who specialize in Debt Restructuring. New Premium Offices, High Speed Internet, Utilities/CAM, VOIP phone system (with phones, lines, fax and voicemail for every employee), plush furniture, impressive conference room, full-time friendly receptionist, relaxing breakroom, Large flat screens with Cable TV (business channels included), Digital Filing, Copier & Printing Department, Dry Cleaning Service pick up and delivery, Fax to Email, Voicemail to email, ample parking, easy to find address (NE corner of Glades and the Turnpike next to Starbucks and FedEx/Kinkos). We want every professional home-based business to have our unique product; "Virtual Office". It's true when working at home you have a great commute. It is also true that there is a definite cost savings by consolidation your home and office expenses by using the phone, electric and internet for both applications. 1) Are you comfortable telling people that you work from home? 2) Are you comfortable with everyone you deal with knowing where you live? 3) Are you comfortable waiting all morning for Fed Ex and the mailman? If you said "no" to even one of these questions then a virtual office is just what you need. For a mere $99 dollars per month we will assign you a new business telephone number, answer all of your calls, accept all of your packages. As a therapist you have a great understanding of the lengths that people go to justify their decisions. But meeting clients at home, even in a lovely home office is not always the right decision. For instances when meeting at your home office is the wrong course of action why don't you arrange to meet your clients in your virtual office. For a small fee all of our virtual clients can hold meetings in our conference rooms. We have seating for up to 12 and video conferencing technology for offsite patients or webinars. Currently we are contemplating setting up one of our offices as a calming studio environment which can be reserved in advance for less formal meetings. westbocaexecutivesuites.com© established in 2010 providing services to Boca Clubhouse, Boca Lago Golf Course, Boca Lago Country Club, University Woodlands Park, Southwinds Golf Course, Boca Pointe Country Club, City Fish Market, Brazilian Tropicana Restaurance, Dominic's I Pizza and Pasta, Bagel Works, Jimmy the Greek, Boca Dolce Steak House, Ferraro's Ristorante, Mediterranean Pizza and Grill, Yokohama Sushi, Miller's Ale House Restaurant, Sushi Yama Japanese Restaurant, Canning Photography, Chili's Grill and Bar, Hashi Sushi & Thai S&S Inc., Moon's Tavern, Nippers Bar & Grill, Big City Tavern, Rise Asian Sushi, Gatsby's Emporium Boca Raton. Also shop at Publix, Kosher Marketplace, Town Center at Boca Raton, Guess by Marciano, Sony Style Retail store, Doris Italian Market, West Boca Square, Shops at boca center, shops at village pointe, Mizner Park. We provide secretary, receptionist, shared space, office space etc. Please contact the following Joseph Kanoff, Guy Simani, Donna Lyman here at We.st Boca Executive Suites or visit our website westbocaexecutivesuites.com, WestBoca, BocaRaton, EastBoca, Florida, FL. Again we offer , virtualspace, officespace, and visit www.officespacebocaraton.com. We have the following common industries interested in taking space Psychologist, Financial Adviser, Accounting, Accountant, CPA, PA, Ad Specialties, Advertising, Art, Audio Visual Productions, Bookkeeping, Cartridge Refills, Catering, Cleaning and Service, Computer and Network Service, Computers and Website, Consultant, Counseling, Credit Card Processing, Embroidery, Quality Funding Source Corp, Feng Shui Consultant, Festival Organizer, Financial, Insurance, Financial Consultant, Gift Basket, Home Concierge, Investments, Mortgage, Multi Level Marketing, Marketing, Non-Profit, Payment Systems, Personal Trainer, Pest Control, Plumbing, Printing, Private Investigator, Property and Casualty Insurance, Property Management, Public Relations, Publishers, Real Estate, Religious organizations, Restaurant, Retail, Roofing Signs, Title Company, Unclassified.